Losing or damaging a tooth or teeth doesn’t just rob you of confidence in your smile; it can make eating and speaking more difficult. 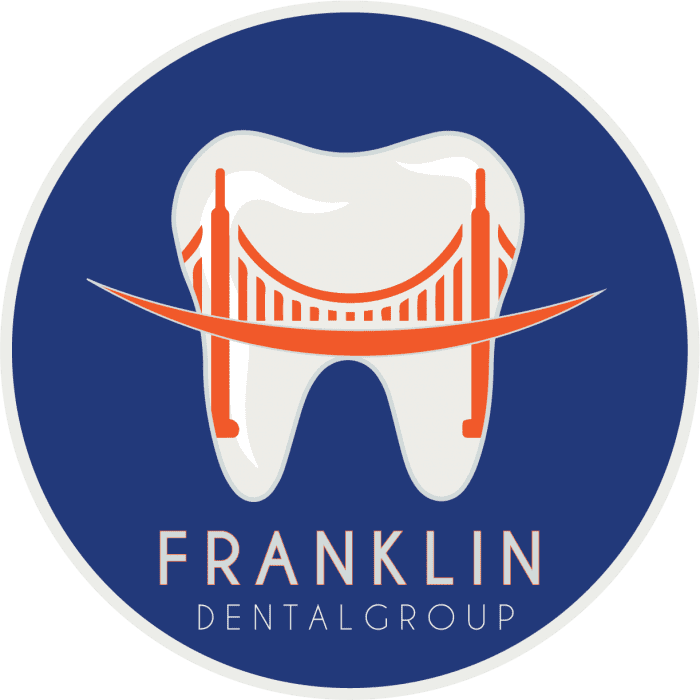 The experienced dentists at Franklin Dental Group in the Marina District of San Francisco, California offer dental bridge treatment to help restore the appearance and function of your teeth, often with minimal discomfort. To learn more, call for a consultation or schedule an appointment online. When a tooth is damaged, it may be repaired with a crown, or cap, that helps reshape its former appearance. Two or more of these crowns next to each other is known as a bridge; it literally bridges the gap between other, healthy teeth. Bridges can be made of a variety of materials, depending on the specific needs of the patient and the extent of the damage to the tooth. What kinds of bridges are available to me? Traditional bridges are the most common and are typically made of a porcelain false tooth — or row of teeth — called a pontic, which is fused to metal crowns on the teeth on either side. If the gap that needs to be bridged is flanked by healthy teeth, this is the technique your dentist at Franklin Dental Group may choose. Whereas a traditional bridge relies on two healthy teeth (one on each side), if there is no adjacent tooth on one side your dentist may use a cantilever bridge. These are similar to traditional bridges but are attached to the one abutting tooth, with the pontic hovering above where the other tooth would be. As a result, there is a risk of the bridge putting undue pressure on adjacent teeth, making them much less common today. A Maryland bonded bridge may be used instead of a traditional bridge. With this bridge, a pontic is attached to a framework of metal and porcelain that is bonded to the back of adjacent teeth, rather than crowns. While these bridges can be installed without filing down the teeth and cementing crowns, they also are more likely to move after being set. A fourth type of bridge, a dental implant-supported bridge, in which dental implants are surgically placed for missing teeth, is a more intensive approach that requires two surgeries over the course of a few months. What can I expect when getting a dental bridge? Bridge work is usually done over two visits. In your first visit, your dentist prepares the surrounding teeth for crowns. This involves recontouring, or shaping, the enamel of your teeth so there is room for a crown to be placed on them. Your dentist will also take an impression or an image of your tooth or teeth, which is sent to a dental laboratory. There, a team of dental technicians will build a bridge specifically for the shape and fit of your natural teeth. In the meantime, your dentist will give you a temporary bridge to protect your gums and damaged teeth. On your second visit, your dentist removes the temporary bridge and tests the fit of your new porcelain or metal bridge to make sure it has been correctly made for your teeth. Sometimes a bridge may require adjustments, but this is different for everyone. The top priority is making sure you have a dental prosthetic that fits comfortably and naturally, both for your appearance and overall dental health. Call Franklin Dental Group or book an appointment online to learn more about bridges.